Denis Thatcher questioned Sir Paul McCartney's invitation to No10 'thank you' bash from Maggie . Beatles Radio: The Beatles, Solos, Covers, Birthdays, News The Fab 4 and More! MARGARET Thatcher’s husband questioned Sir Paul McCartney’s invite to a Number 10 reception, papers show. The Beatles legend was on a list of celebs invited as part of a 1988 “thank you” following a rally during the ex-PM’s election campaign. 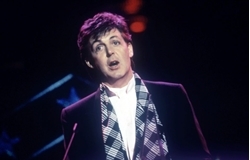 Margaret Thatcher's husband Sir Denis Thatcher questioned whether Sir Paul McCartney should have been invited to a No10 reception, papers show Beatle Paul was on a list of celebs invited to a 'thank you' event following a rally during the ex-PM's campaign. But husband Sir Denis vetted the guest list and added question marks beside the names of those he said “do not help”. Guests he approved of received red ticks — in­cl­u­ding golfer Nick Faldo and Rolf Harris. His ac­t­i­ons emerged in newly-released documents.